Texas House Assignments Are In: Is School Choice Cooked? 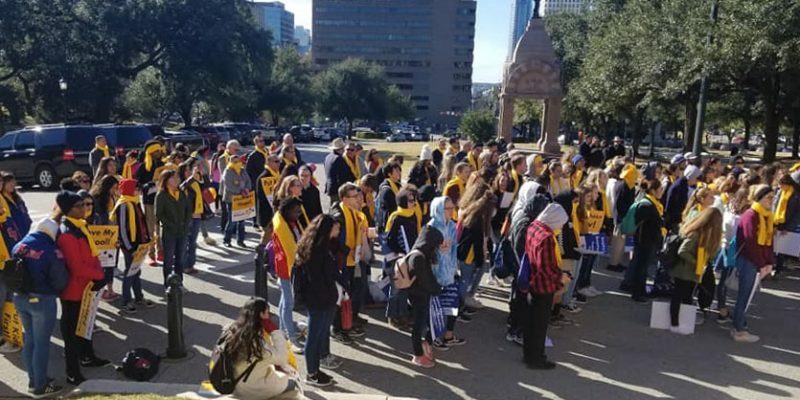 Today is School Choice Day at the Texas Capitol with a reasonably-well-attended rally featuring U.S. Sen. Ted Cruz and plenty of buzz. But the other big story today was the long-awaited state House Committee Assignments. And it doesn’t look like the committees will make for calmer seas for school choice advocates this year. The Public Education committee, which oversees K-12 in Texas, remains roughly the same with Dan Huberty (R-Houston) as chairman and Diego Bernal (D-San Antonio) as vice chairman. Speaker Dennis Bonnen has indicated that he has no intentions of allowing any public school voucher or similar legislation through his chamber this year. The other two members of the Big 3 — the Governor and Lieutenant Governor — have agreed to pursue tax reform (of which school district taxes play a huge role) as a priority. The Higher Ed committee is also worth a look: Speaker Bonnen tapped Democrat Chris Turner (D-Grand Prairie) as chairman and Lynn Stucky, a moderate Republican from Denton, as vice. The two replace another Democrat and moderate Republican duo from last session’s committee. The powerful House Calendars committee, which controls when bills get sent to the floor, will now be helmed by Rep. Four Price (R-Amarillo), a staunch opponent of school choice in previous sessions and one of those Panhandle Republicans who typically do not see anything wrong with public schools as-is in their largely rural counties. (See related story on fellow Panhandle legislator state Sen. Kel Seliger, who opposed school choice last session and was recently stripped of his education committee chairmanship by the more conservative Lt. Gov. Dan Patrick). All hope is not lost, according to the power-hitter of today’s school choice rally. Sen. Cruz indicated he would be soon filing school choice legislation at the federal level. In 2017, Cruz was successful in getting what are known as “529 plans” — tax-free education savings accounts up to $10,000 per year to pay for private school expenses — added to the Congressional tax omnibus bill. Nevertheless, Sen. Cruz called 2018 a big year for school choice across the nation. He urged Texas Legislators to avoid political haggling and instead “to look in the eyes of children” and consider their dreams and educational requirements. Back to the committee appointments: The ink is still dry on the roster, but by our count it appears Democrats made considerable gains with 13 appointed to or kept in chairmanships out of the House’s 34 permanent standing committees. 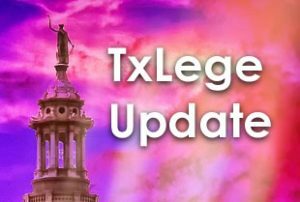 Speaker Bonnen has highlighted that there is an increased number of racial minorities and women in his leadership appointments. Keep in mind the Democrats also made about as many gains when it comes to seats in the House after the 2018 general election. Another noteworthy appointment: As expected, Rep. Jeff Leach (R-Plano), who recently left the conservative Texas Freedom Caucus prior to session, received some plum assignments — the biggest was Chairman of the Judiciary and Civil Jurisprudence committee. With the Senate and House assignments now in, we can see a clearer picture of the 86th Legislature and how things may pan out — a vision that does not, at this time, involve much progress for home schools, virtual schools, charter schools, private schools, vouchers, tax breaks, etc.